He says he "could never beat up a woman"
Morocco Omari at the 48th annual NAACP Image Awards in Pasadena, Calif. in 2017. An actor on the television show "Empire" has been acquitted of domestic battery in Chicago. Morocco Omari took the stand during a two-day trial that ended with his acquittal Friday. Jurors deliberated for less than two hours. He says he "could never beat up a woman" and that his acquittal is like "an albatross lifted from my neck." Omari was arrested in April 2017 after a 24-year-old woman who identified herself as Omari's girlfriend told police officers that he had pushed her to the ground during an argument, causing scratches on her neck and chest. Omari described the aftermath of the allegations as "like a hurricane wiping out your house." 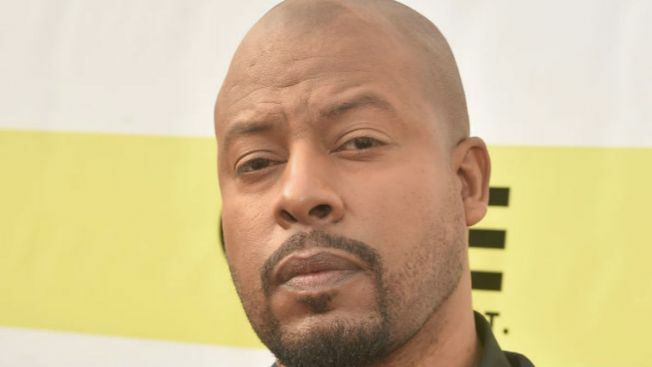 Omari played FBI Agent Tariq Cousins on the Fox TV show. The character was killed off last season.